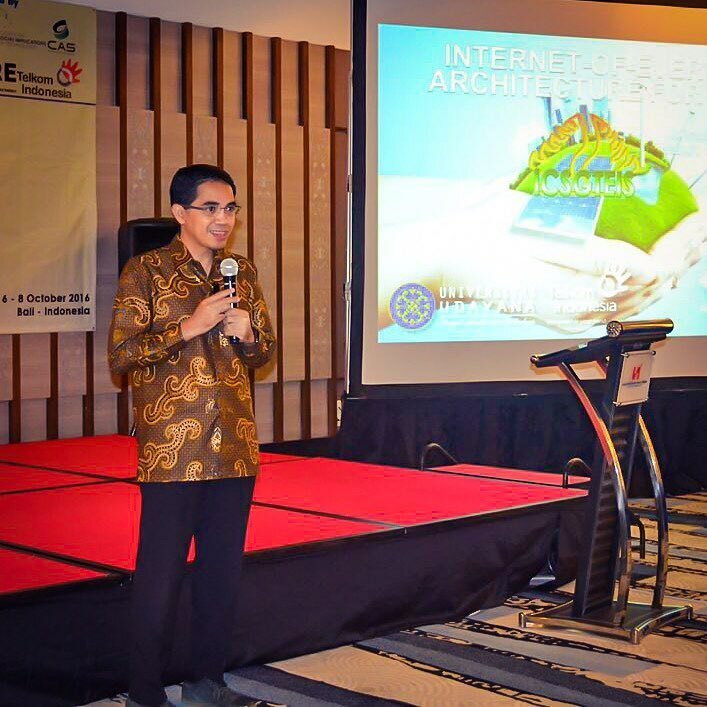 As a part of ICSGTEIS 2016 (International Conference on Smart-Green Technology in Electrical and Information Systems) organised by Udayana University – and surely sponsored by the IEEE – the IEEE SB Udayana University carried out a workshop on Internet of Things for Smart City, on Saturday 08 October 2016. I was representing the IEEE Indonesia Section to provide a keynote speech on this workshop, with a lecture titled Internet-of-Everything Architecture for Smart City. BTW, I wore a batik shirt with a motive called “Batik Kuncoro” :). Google it.